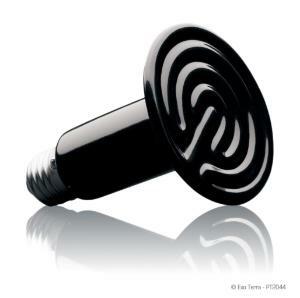 The Exo Terra Ceramic Heater is a radiant heat source which creates a natural sun-like heat with a uniform pattern. The long wave infrared heat produced by this emitter will warm reptiles very efficiently. 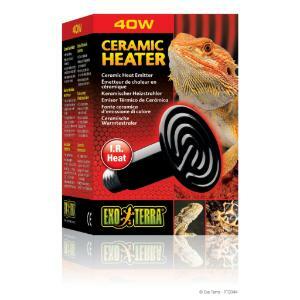 It also increases the ambient air-temperature in the terrarium. Infrared heat penetrates the scales and skin tissue, promoting health and healing as it widens the blood vessels and increases blood circulation. The Ceramic Heater is to be used only with the specially designed Exo Terra Wire Light.